And how did we miss this bit, Doc? 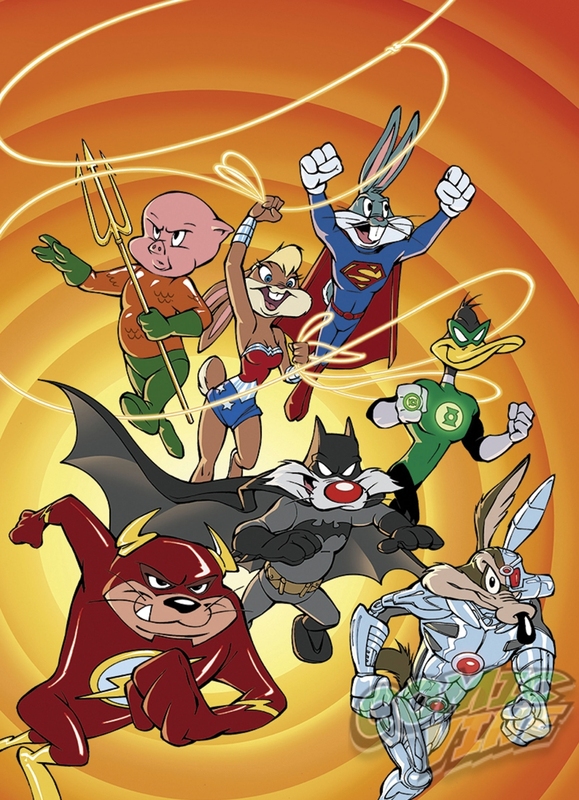 As DC Comics have been the home of the Looney Tunes comic series for a while now, this last November they decided to go completely, yes, looney: More than two dozen of DC’s well-known superhero titles were released last month featuring variant covers where Bugs Bunny and his pals (some well-known, some obscure except to the True Warner Brother Aficionado!) invaded the world of Superman and Batman and their pals. And these covers were created by some of the best and most well-known DC artists working now. Fortunately for those of us who can’t afford to buy that many comics in a month (especially just for the cool covers! ), DC has been kind enough to collect all 25 covers on their web site for you to peruse.